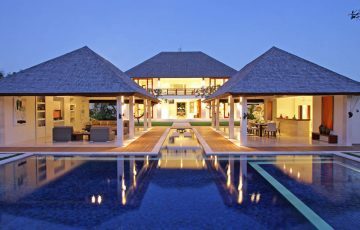 From $ 1,156 $ 925AUD per night We have direct contracts with most villa owners. We don't add any booking fees. We are 100% transparent with no nasty surprises. 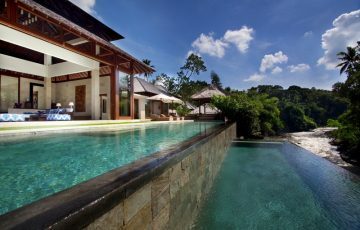 ABSOLUTE beachfront Bali villa - rent this now! 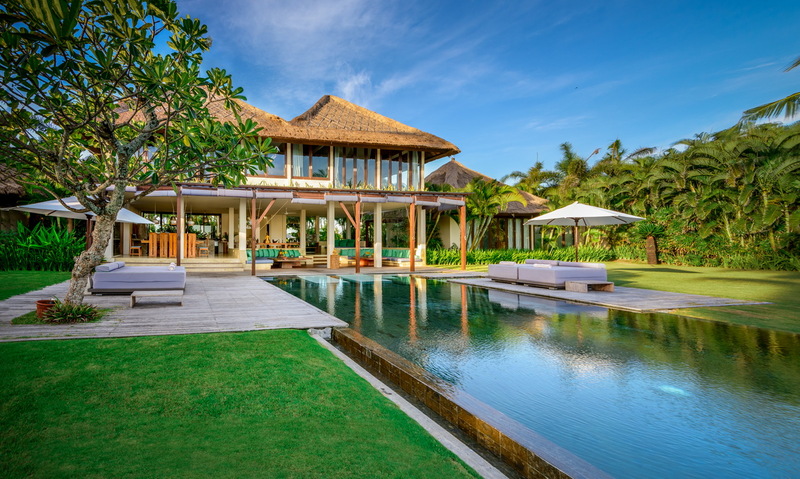 Villa Shalimar Makanda is a stunning 4 bedroom Canggu beachfront villa holiday rental that is going to impress you from the moment you see it. 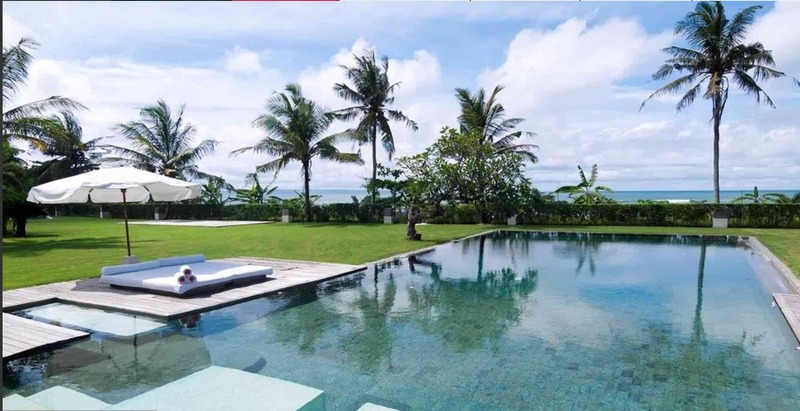 Located right on the shores of the Pantai Seseh Beach, the villa enjoys 150m stretch of white sandy shores and breathtaking views of the ocean from every part of the villa. 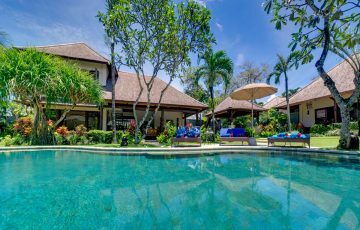 This stunning 4-bedroom luxurious villa is tucked away in the pristine and untouched environment of the Balinese village known as Seseh. 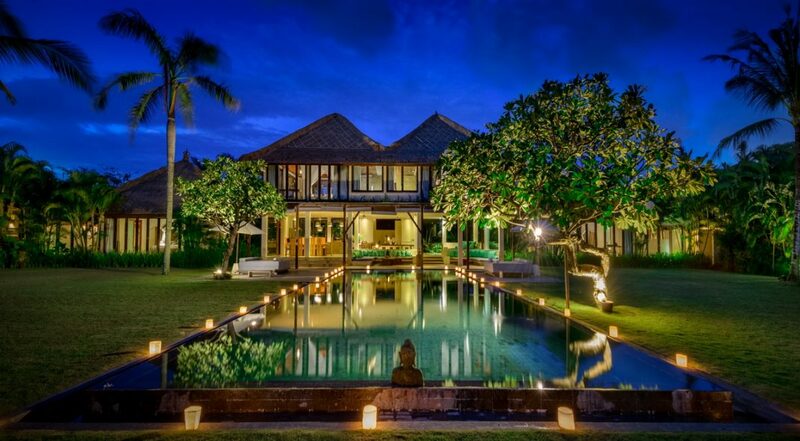 It is right next door to the famous area of Canggu. 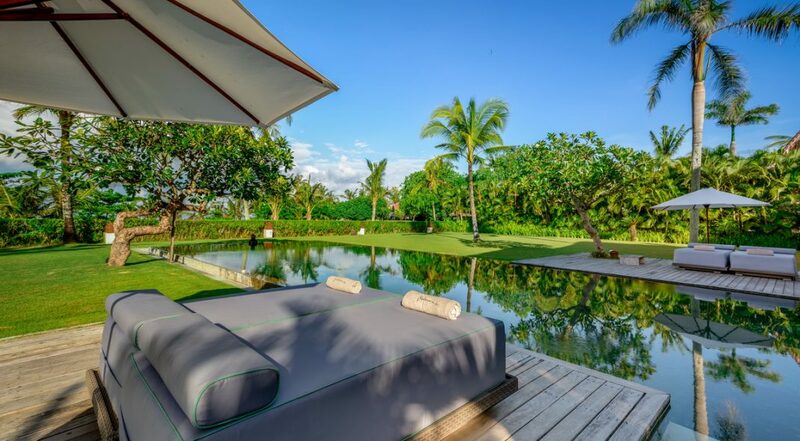 Surrounded by picturesque rice fields, coconut trees and the ocean, this villa is the perfect holiday escape for a family or group – you will find it hard to get a better villa in Canggu. The exterior of Villa Shalimar is sensational. 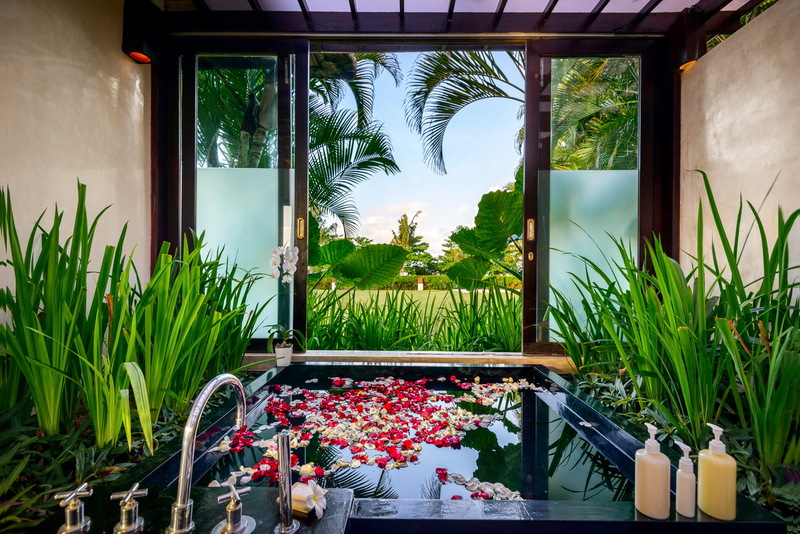 Guests are greeted by the sight of lush rice fields, the beautiful ocean, tropical gardens and the majestic two storey building. 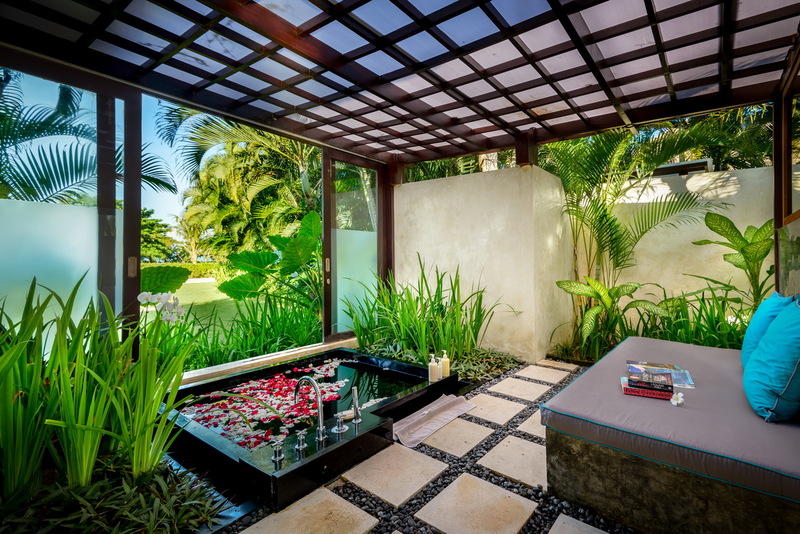 The building overlooks a 9x20m pool which is flanked by well-maintained lawns and exotic tropical flowers. 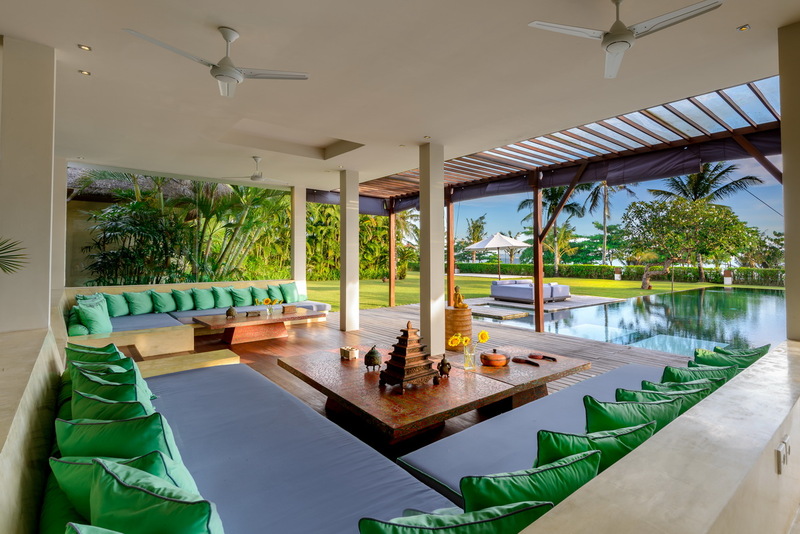 Guests can stretch out on the comfortable white pool chairs and daybeds as they sip on a drink and admire the beauty that surrounds them. The outdoors of the villa is also spectacular for weddings and other large events. 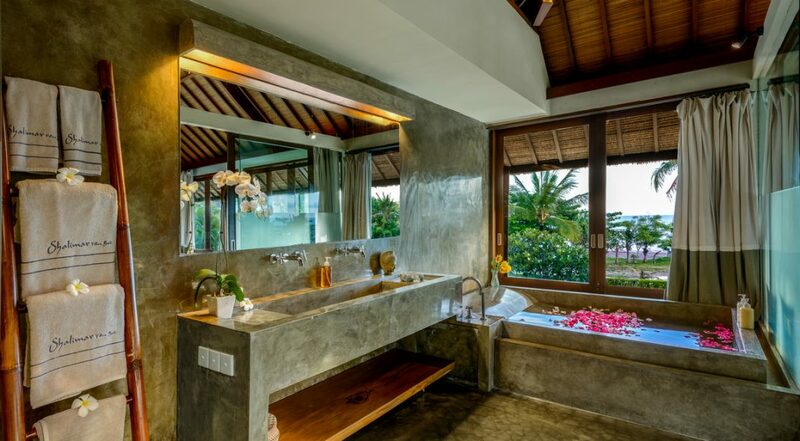 Each separate villa of Villa Shalimar has a stunning living area that is beautifully furnished and designed in an unmistakable Balinese manner. 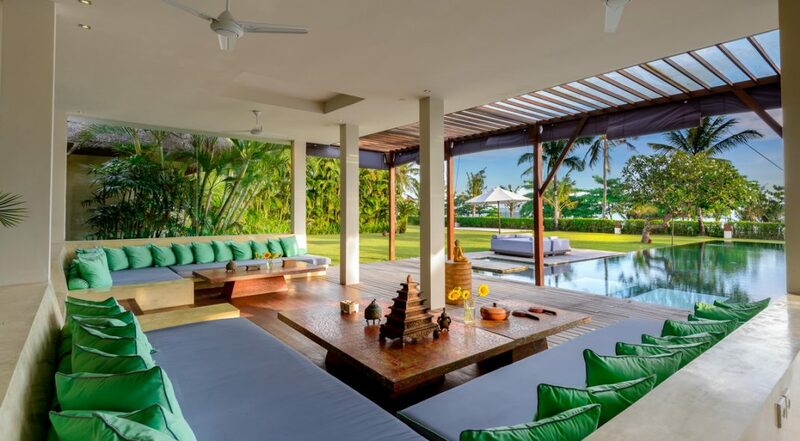 They have comfortable sofas that are arranged to face the beautiful outdoors, a lovely dining set in one corner and lovely pieces of art adding to the general appeal of the villa. This is the perfect spot for guests to hang out and enjoy a wonderful recreation time indoors. 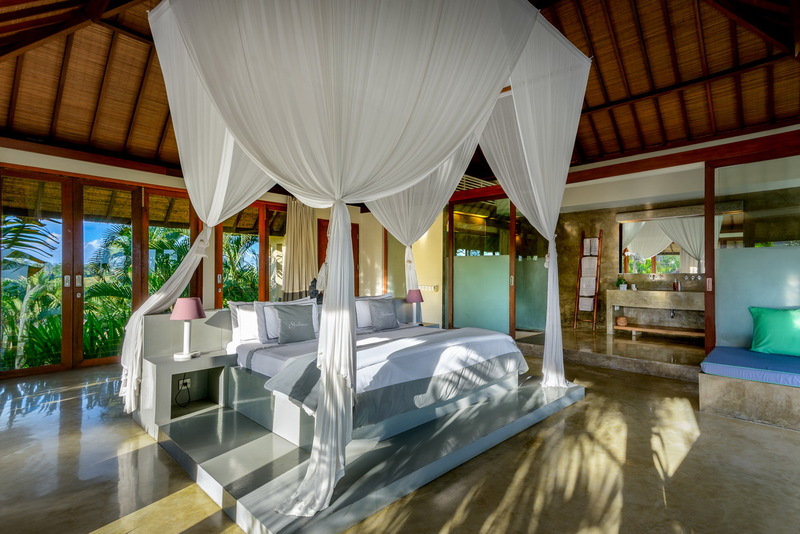 Each bedroom is a masterpiece and guests will definitely feel very comfortable and utterly relaxed. 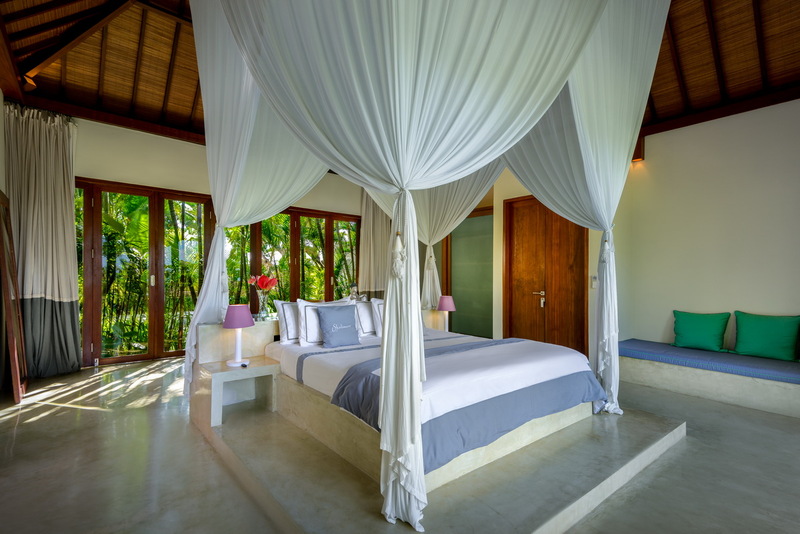 The bedrooms come fully furnished with comfortable beds, beautiful wooden furniture, a sofa and floor to ceiling windows that offer panoramic views of the ocean in the distance. 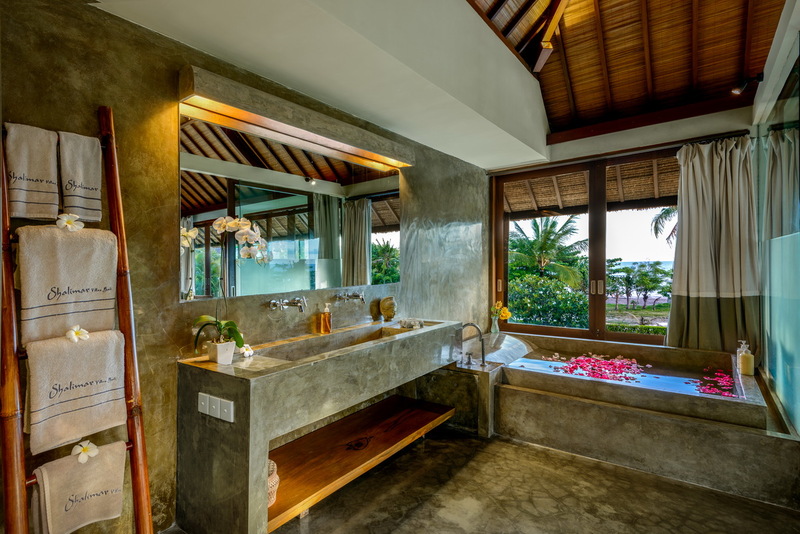 The ensuite bathrooms have luxurious tubs and beautiful stone features. 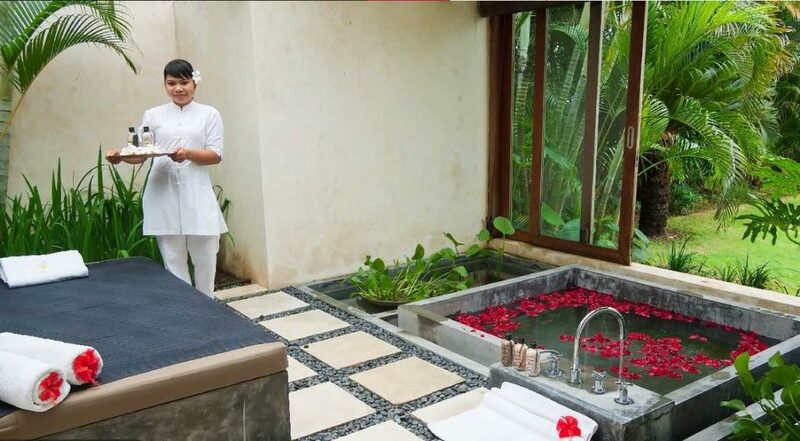 Villa Shalimar Makanda has its own private chef, butler, villa manager, pool and garden attendants, and daily housekeeping. All through your stay, the efficient staff will ensure you are well taken care of and that your stay goes without a hitch. 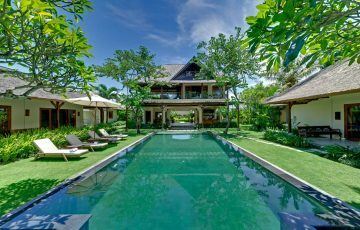 The villa is right on the shores of the Pantai Seseh Beach where guests can enjoy evening strolls and watch those amazing Balinese sunsets. 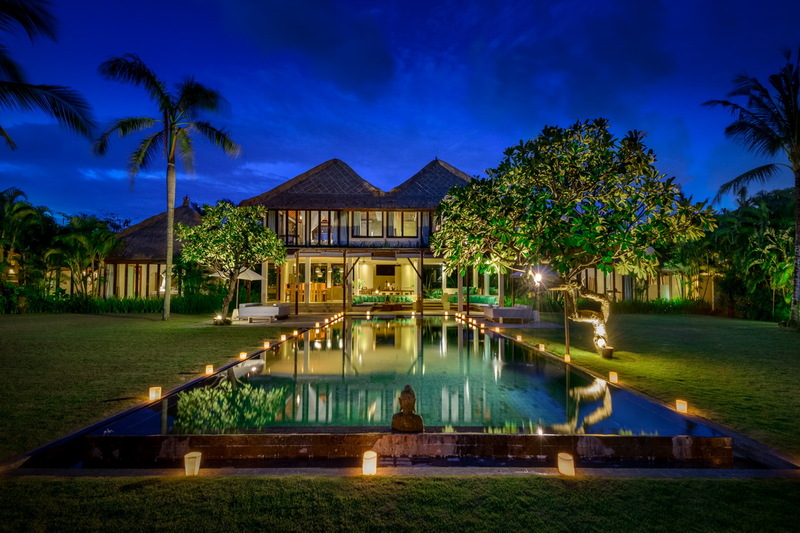 Also within the vicinity of the villa are bars ( Old Man’s & Deus), great cafes, yoga studios and restaurants in Canggu. 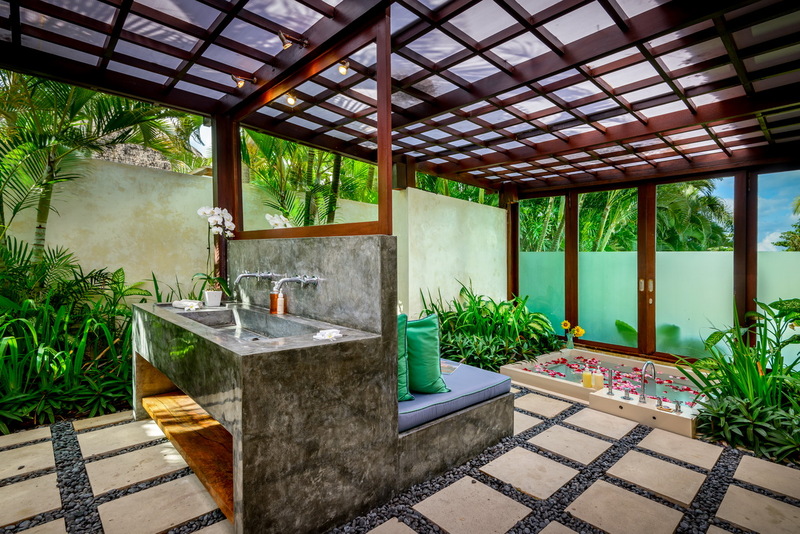 So guests can easily explore and indulge in all that the area has to offer. 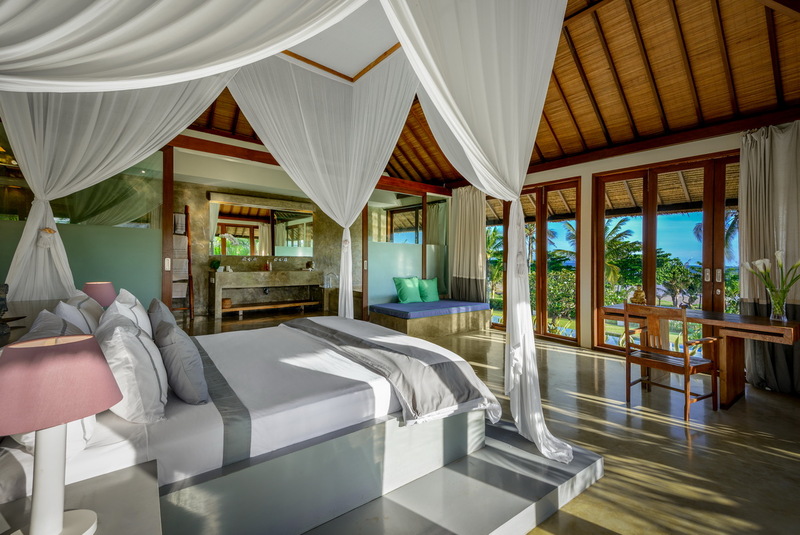 Villa Shalimar is really special and words alone fail to capture its very essence. 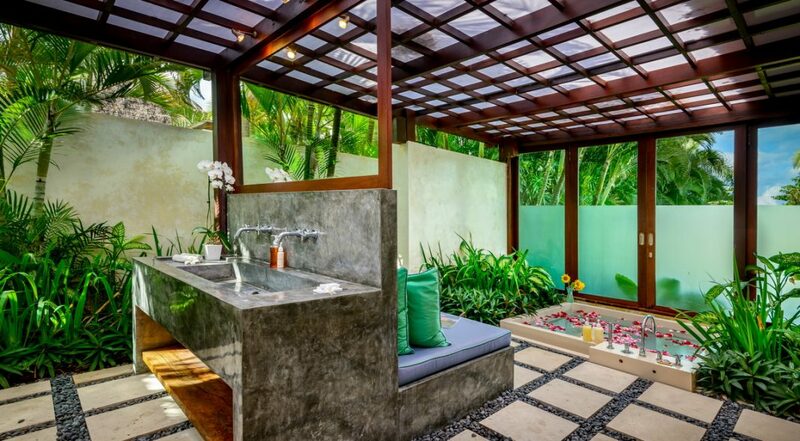 Staying here is going to make your Bali holiday seriously memorable! 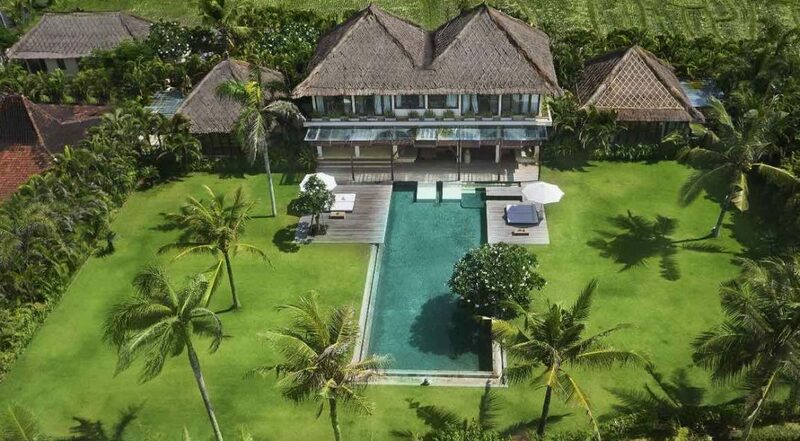 To view other similar 4 bedroom beach front Canggu Villas or see more luxury family friendly Bali Villas please browse this website or contact our reservation team. 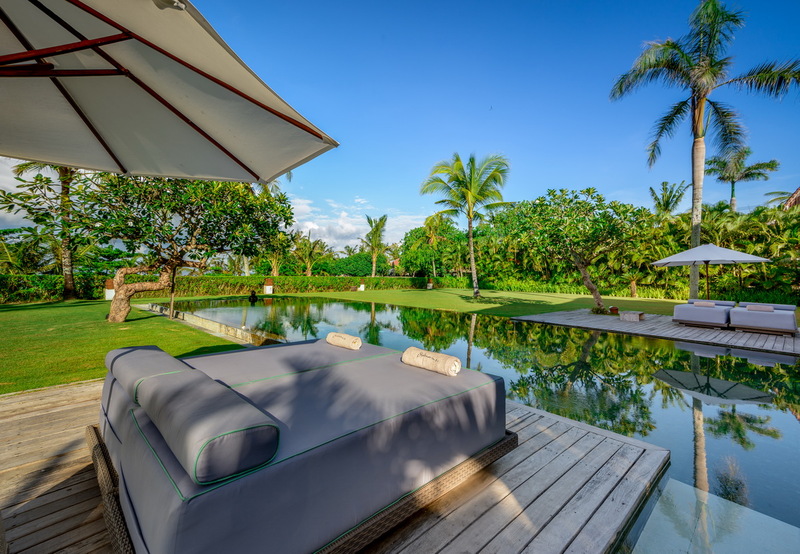 Book your Canggu holiday at Villa Shalimar Makanda well in advance as this is a really popular villa especially if your planning a trip to Bali during the Australian school or public holidays. We spent a fabulous week here and from the second we arrived with our family of 8 we knew that this was the perfect villa for us and the kids. The rooms were seriously large and very well decked out and of course the en suites were magnificent. a massive bonus was the super friendly and very helpful villa staff who were more than happy to do anything we needed and made us the most amazing meals - we will miss their breakfasts. The location was also spot on as it was right on the water which was great for those ocean swims and watching those gorgeous sunsets. 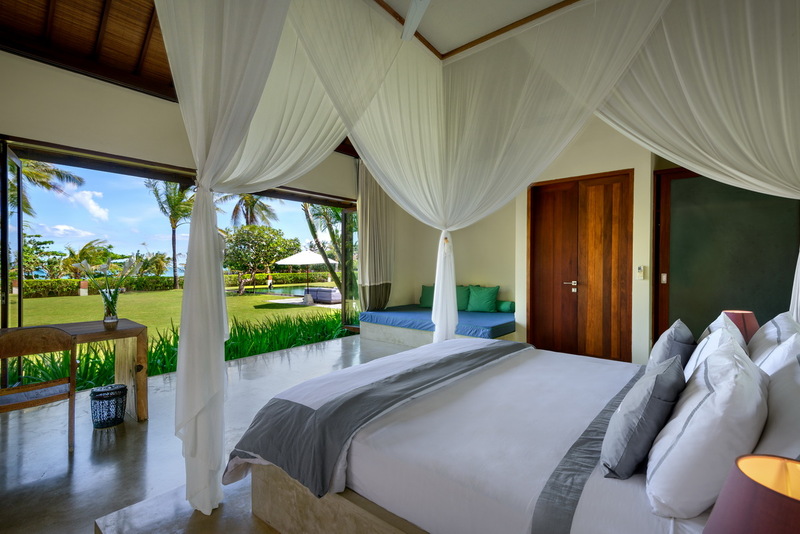 What we can say except if your coming to Bali and want a memorable villa experience - you simply must stay at Shalimar. This easily gets a 10 out of 10 from us and the family. 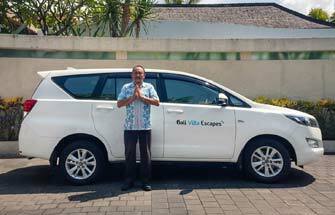 A huge thanks to Ina and Dewi at Bali Villa Escapes for organising this wonderful villa - we have told all our friends and we will be back! Loved the location and the pool - a divine experience where our family of 6 were in total luxury during our stay. 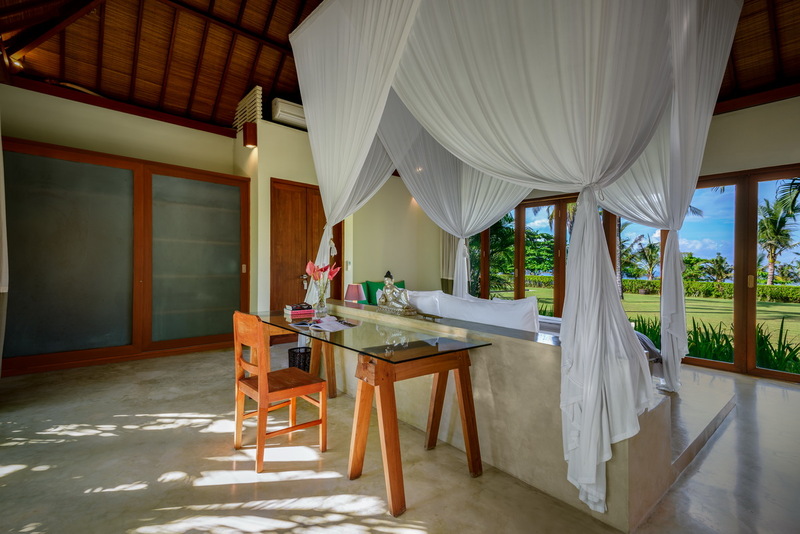 We absolutely recommend this villa to anyone wanting a beach front location in a really quiet area. TIP: make sure you are there for the sunsets - they are magical. 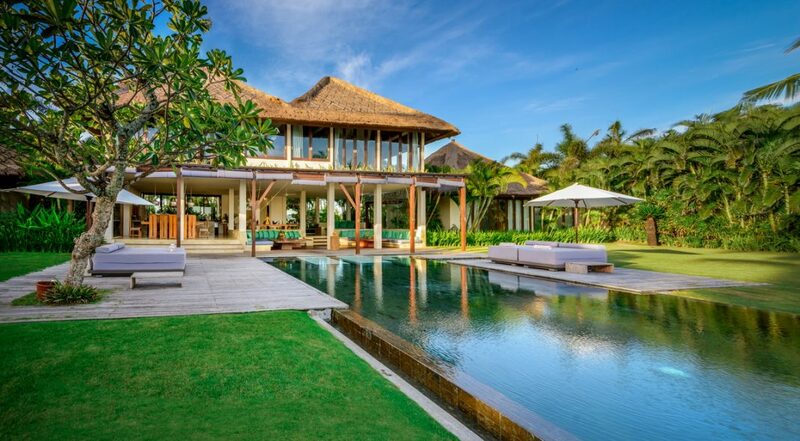 Loved every moment at this amazing villa. Highlights were the incredible staff and the location. 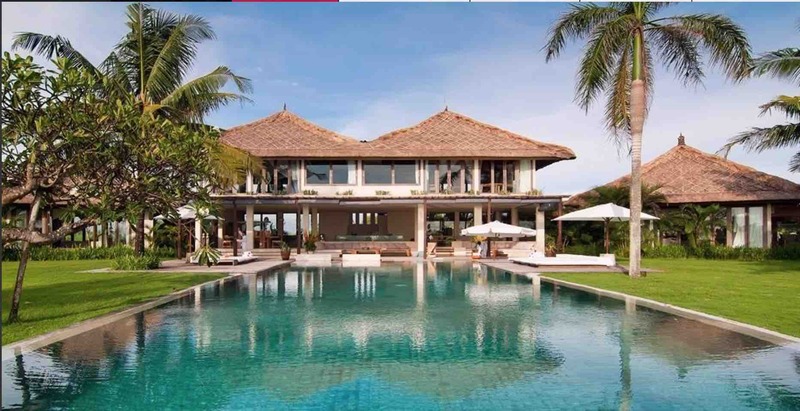 You really have to see this villa to get an idea how fabulous it really is. 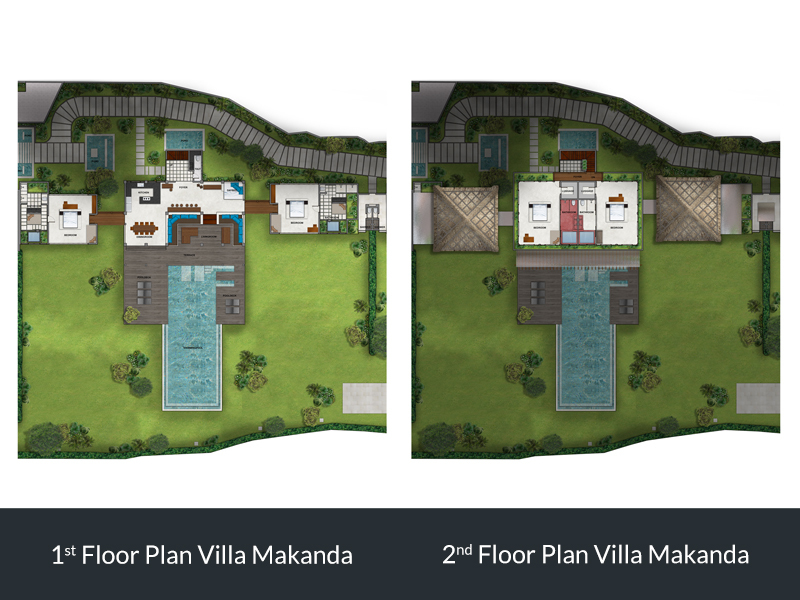 The grounds and pool areas were impeccable while the interiors were spacious and modern. 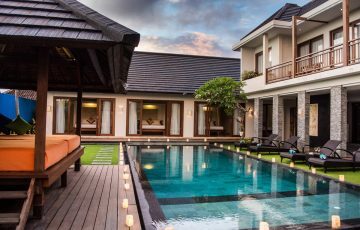 For our family holiday this was the perfect villa. 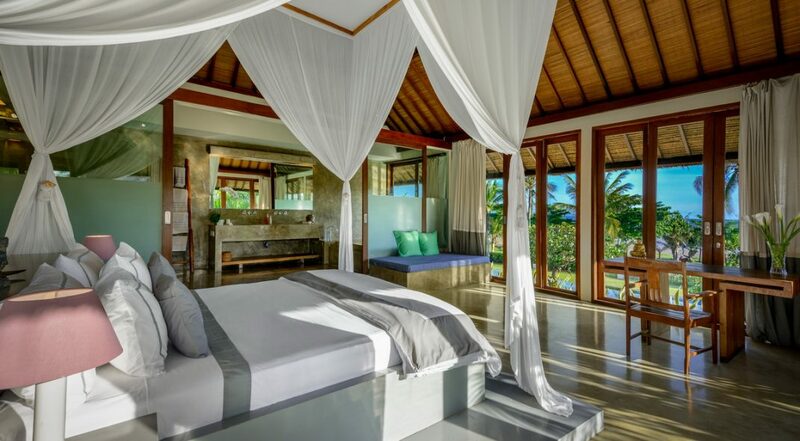 Lovely villa with amazing service. Large spacious and homely bedrooms that were always a pleasure to come back to. Everything was centred around the pool which was ideal as we were travelling with children who went beserk when they saw the pool - we couldn't get them out. Maximum play time and fun. For us adults it was total relaxation by the ocean or the pool. 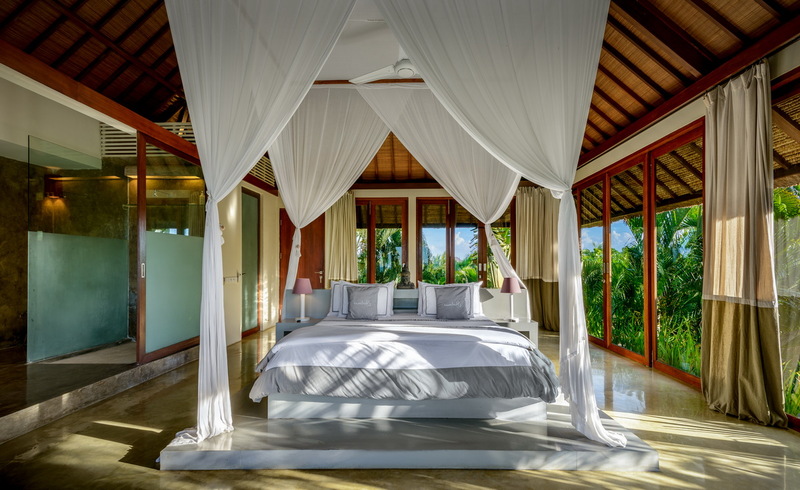 All up, a wonderful villa enhanced by a magical location. 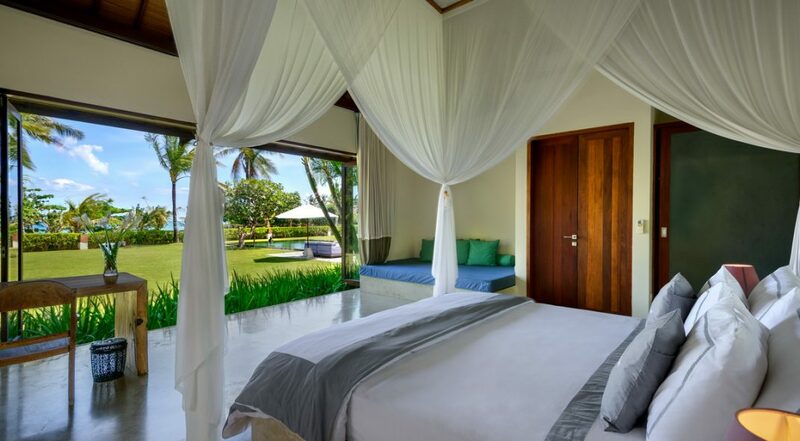 After days researching villas we decided to stay in Canggu for the first time and loved the look Shalimar. It was everything it was hyped up to be and more. Thanks to all the staff for such an amazing holiday.